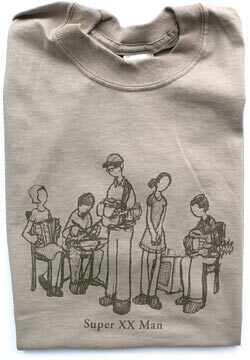 Printed on khaki 100% cotton T shirts with dark brown ink. A drawing of the band by Chad Crouch. 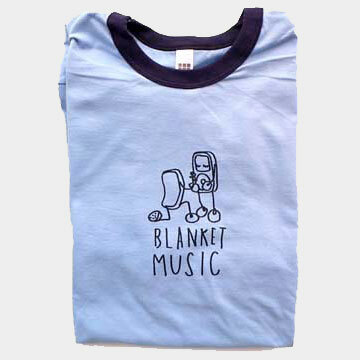 Also available in light blue, girly Bella brand T, also with dark brown ink.